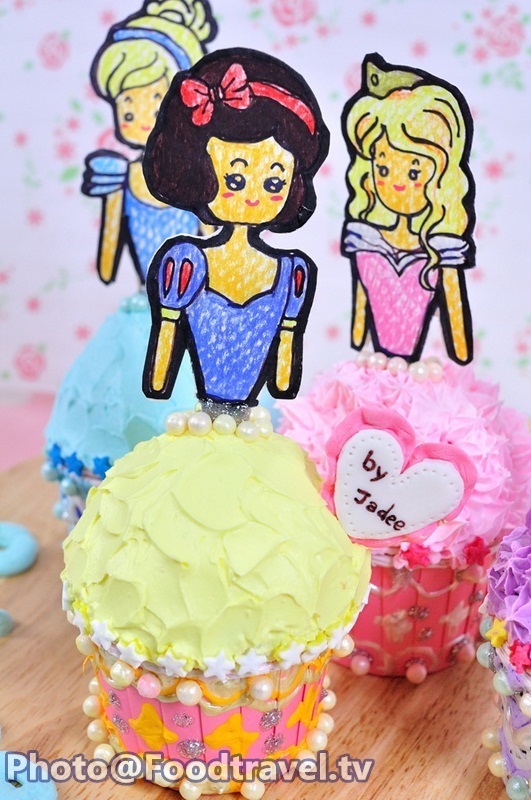 Princess Cupcake (Cupcake Jao Ying) - Princess Cupcake is another great menu for children on the Children's Day. 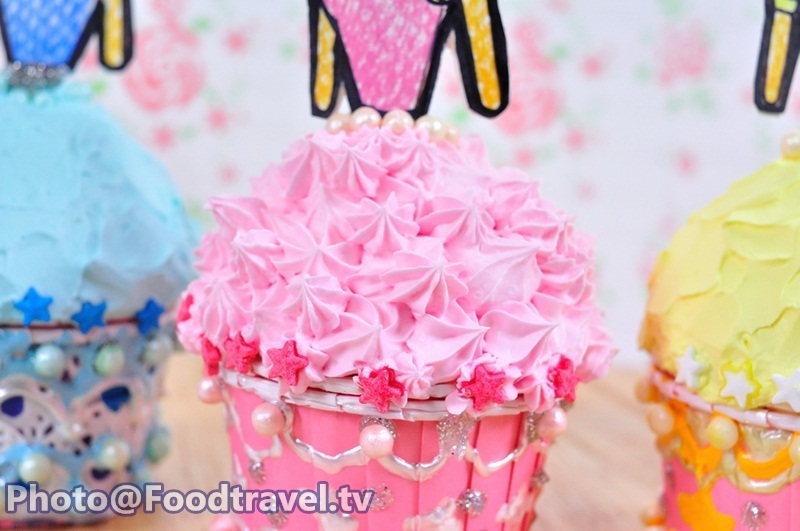 A cupcake decorated as princess on top. We formed the shape of a cake with pastry. 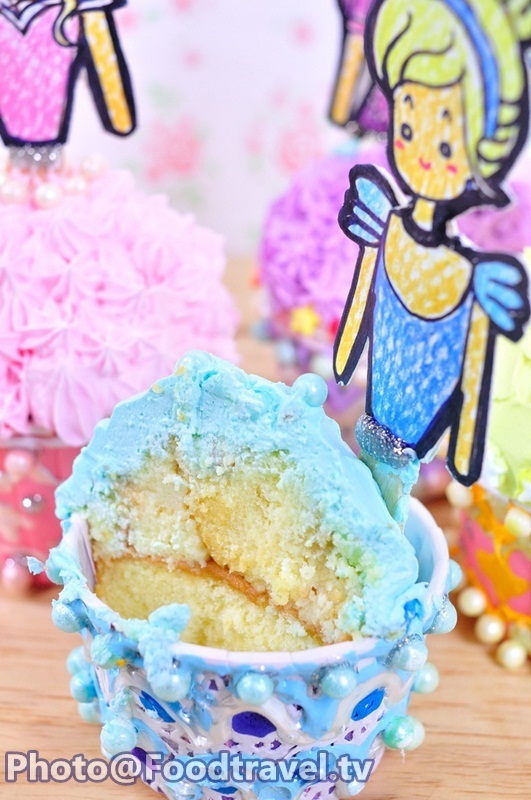 It’s very simple and cute for children's party. 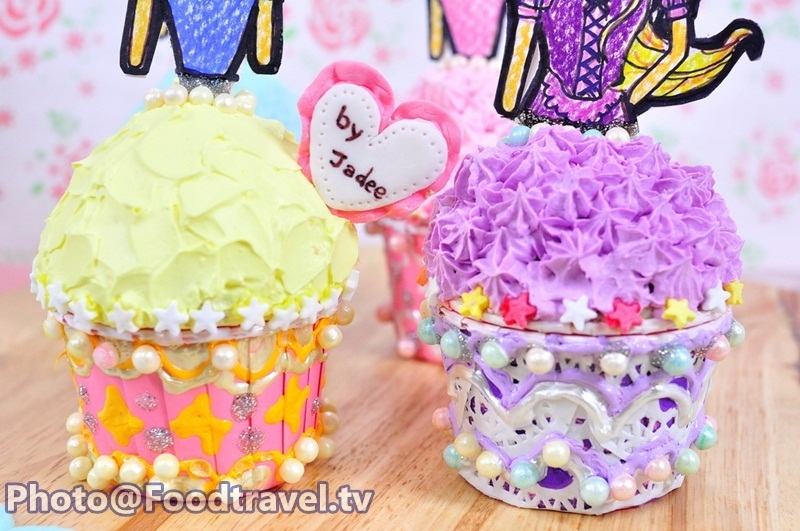 Don’t forget to try this ‘Princess Cupcake’. 1. Bake cupcakes and set aside to cool, then divide into 2 parts. Part 1 - in a skirt below. Part 2 - to make a skirt on top. 2. Put cupcake (part 2) in a mixing bowl. 4. Stir mixture slightly, then set aside. 5. Place on ice cream skewer and put into the cupcake. 6. 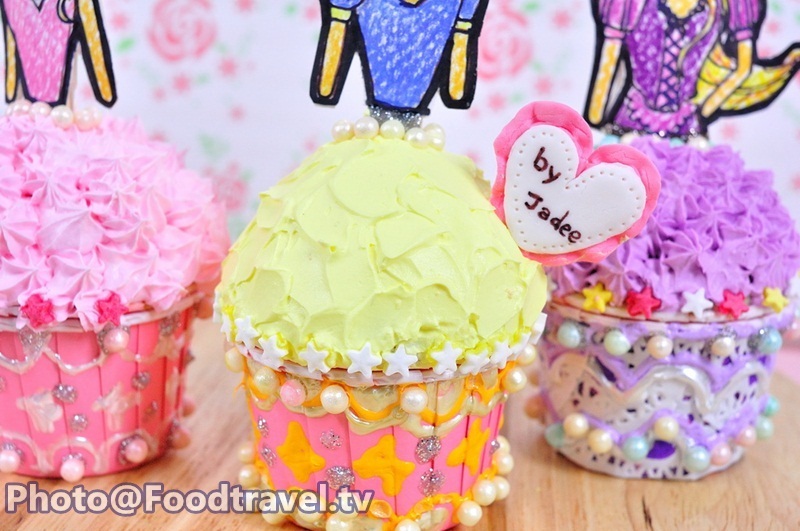 Cover the cupcake on top as the skirt. 7. Decorate with cream all over the skirt. 8. 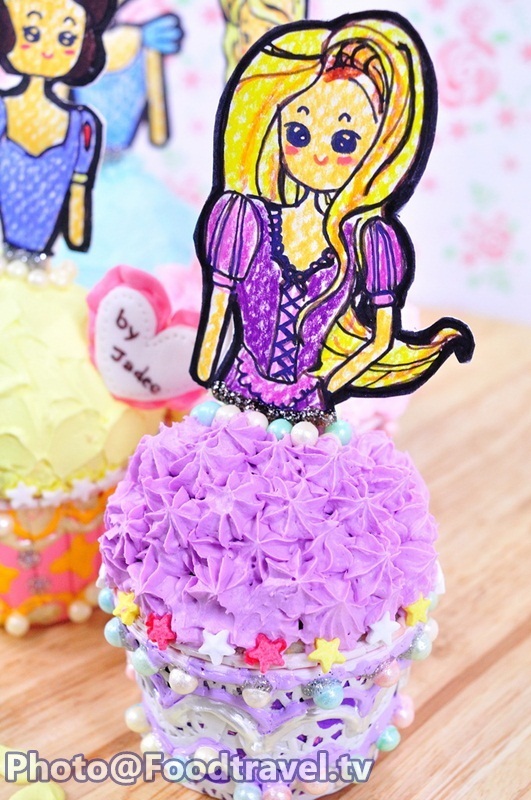 Decorate princess skirt with sugar as like. 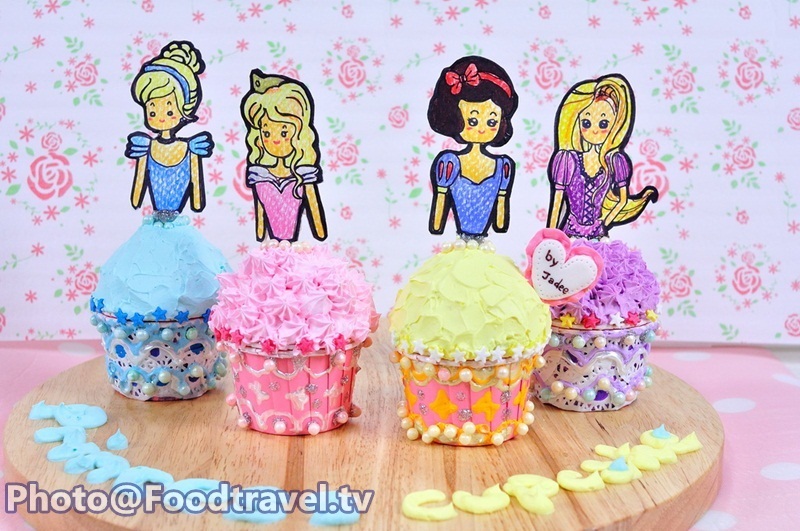 Princess Cupcake (Cupcake Jao Ying) - Princess Cupcake is another great menu for children on the Childrens Day. 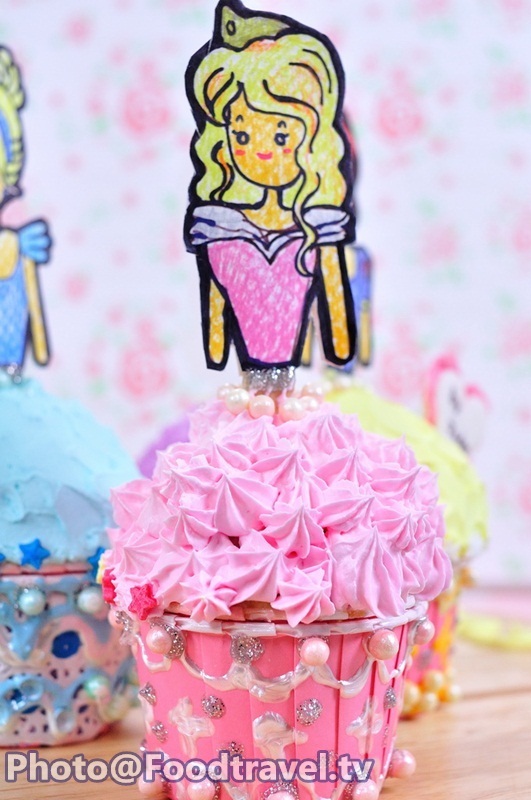 A cupcake decorated as princess on top. We formed the shape of a cake with pastry. 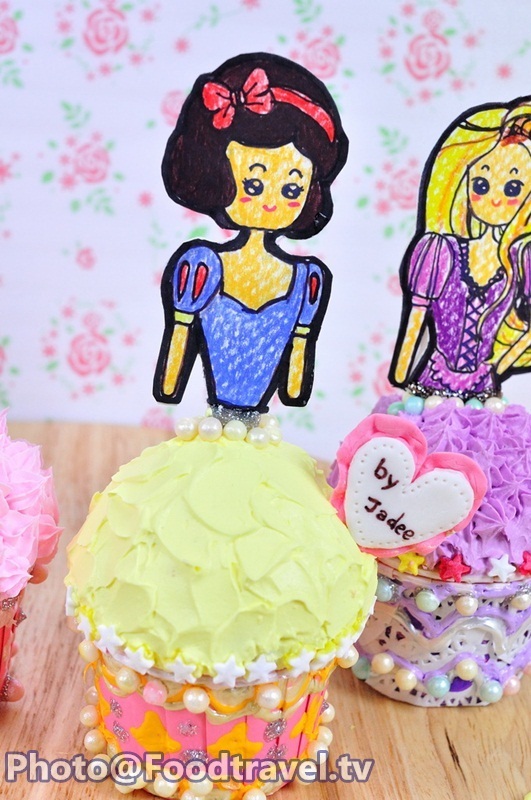 It’s very simple and cute for childrens party. 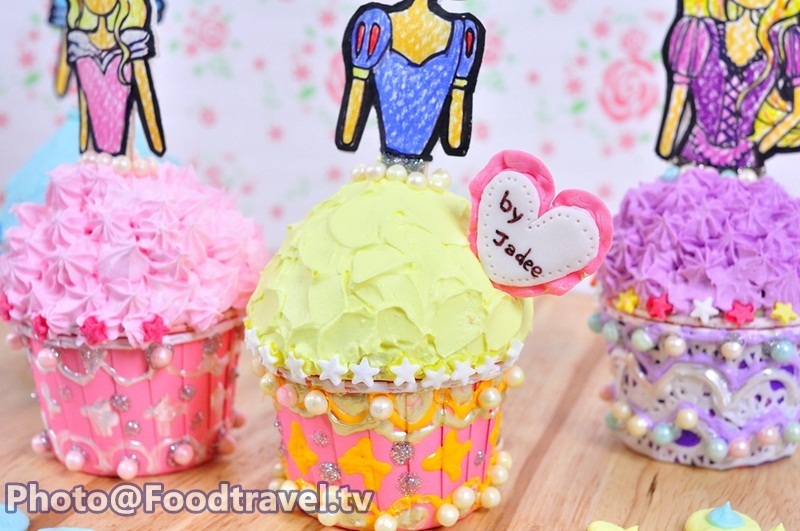 Don’t forget to try this ‘Princess Cupcake’.